HONG KONG (Reuters) - Sun Art Retail Group, China's top hypermart operator, said on Friday its stores will use Alibaba Group Holding Ltd's software solutions and online transaction data to improve business efficiency, sending its shares up 5 percent. The co-operation agreement between Sun Art and Alibaba follows a $2.9 billion investment in Sun Art announced by Alibaba last month in the e-commerce giant's latest push into offline retail portfolio. In a statement, Sun Art said the new alliance will enable it to benefit from Alibaba Group's digital ecosystem. Sun Art will adopt "Taobao Daojia", the Alibaba business model that aims to enable traditional hypermarket and supermarket businesses to increase business efficiencies by utilising internet technologies and traffic at Taobao, Alibaba's marketplace. Under the deal, Sun Art's stores will have access to the online platform provided by Alibaba Group unit Alibaba Zetai, adopt its check-out equipment and hardware, and share certain transactional raw data. 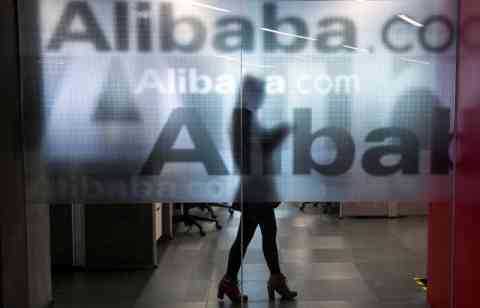 Alibaba will also offer last-mile delivery services for products sold on the online platform. The two groups will also cooperate in procurement and product sourcing. Sun Art will pay to Alibaba Zetai a fee of a fixed percentage of the value of online transactions completed through the platform, it said. Sun Art's shares rose as much as 5 percent on Friday, and were up 4 percent by midday.